OMG, my mouth is watering. 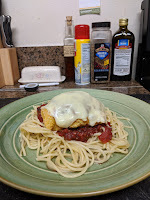 This was an amazing chicken parmesan recipe and I've had a lot of chicken. 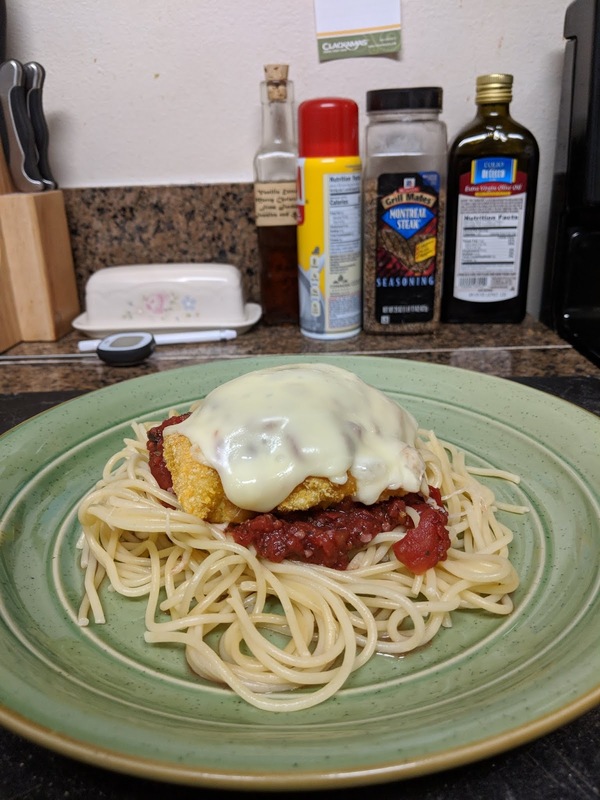 The thing I really loved about this meal was the delicious sauce. 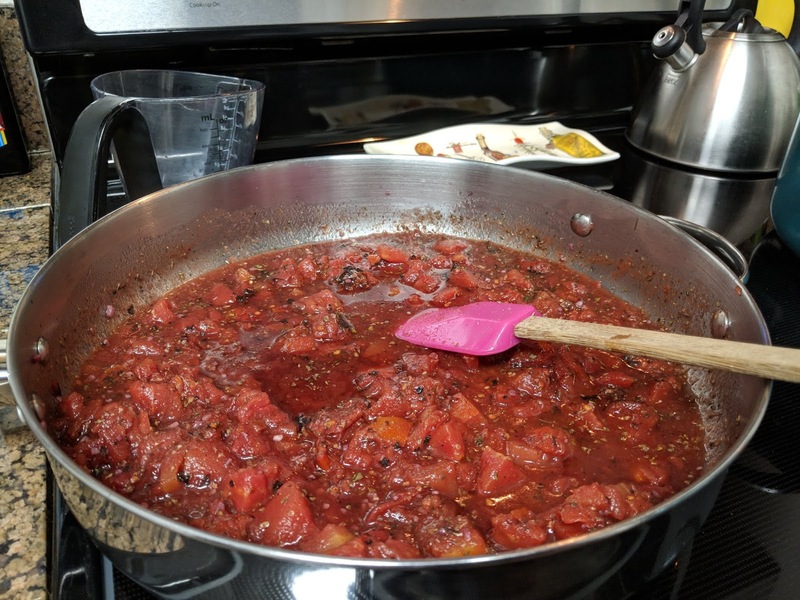 I don't think I've ever had a red sauce that used wine before. It cooked down nicely, paring with the tomatoes well. I'm notorious for multi tasking while I cook, so the recipe only took me about 45 minutes from start to finish. 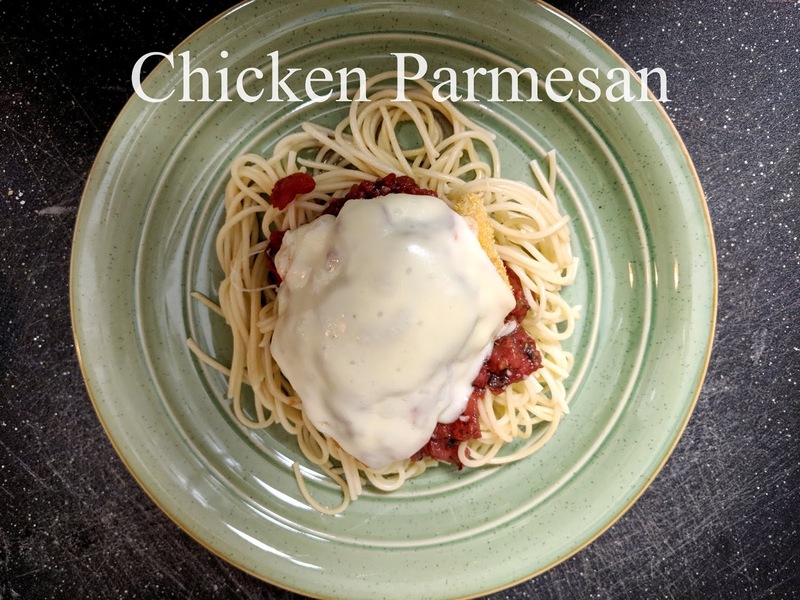 A nice weeknight meal that the whole family would love. The ingredients were easy to get. Everything was available at local store. For the rest of the recipe, please check out the original here at JenReviews.com.